Tue, Apr 23, 2019, 2:18:49 ---- The fact: 42.844.000 visitors done. Roll-Kraft headquarters in Mentor, Ohio is pleased to announce the re-certification of its Woodbridge, Ontario facility, Roll-Kraft Ltd., to ISO 9001:2008. 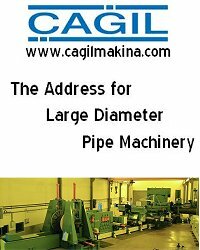 The scope of this registration includes, "The manufacture and refurbishment of metal rolls and related equipment for the tube, pipe, and roll forming industries." This is a highly regarded indication of the company's dedication to providing quality products and services to the marketplace. The recent third-party audit resulted in no non-conformances, and demonstrated the existence of an effective quality management system. Roll-Kraft has 54 years of experience in providing roll tooling for the tube and pipe and roll forming industries, making it a worldwide leader in the field. With a total of 67 CNC (computer numerical control) machines, lead times have been reduced over the years, and on-time deliveries and first-time performance statistics are posted monthly on the Roll-Kraft website. Roll-Kraft has its headquarters in Mentor, Ohio, and maintains other facilities in Lombard, Illinois (Chicago Roll Company); Houston, Texas (Roll-Kraft Texas); and Ontario, Canada (Roll-Kraft Ltd.). Calls to the company's main line, (888) 953-9400 or (440) 205-3100, are greeted by a live operator who can assist callers in quickly reaching a technician, engineer or sales staff who can provide immediate assistance. The company's fax number is (440) 205-3110. Learn more about Roll-Kraft products and services by visiting www.roll-kraft.com. For easy and immediate contact with Roll-Kraft that transcends time zones and working hours, the website features an easy-to-use contact form.